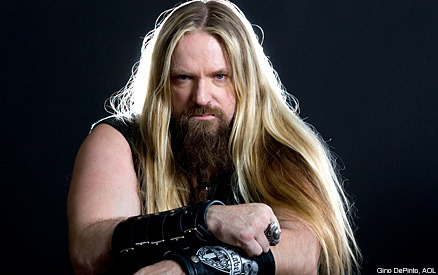 During our animated conversation with Zakk Wylde, the Black Label Society guitarist and former Ozzy Osbourne axeman said that if Ozzy didn't go into music, he could have been a comedian. Providing he took the stage with a translator, Wylde could well be right, but you know what they say about birds of a feather. Wylde is one of the funniest, most energetic dudes in metal, and we could easily see him tearing it up at the Comedy Connection all on his own, no translator required. Even before the ''Creep Show' camera started rolling, he was 'on,' joking about emo bands who wear 'guyliner,' mocking BP Chief Executive Tony Hayward and telling some killer Ozzy stories -- a practice that continued throughout on-air interview. Wylde talked a little bit about the creation and content of Black Label Society's upcoming album, 'Order of the Black' (out Aug. 10), explained how he recorded the whole disc at home sober in his newly built studio, tipped his hat to new Ozzy guitarist Gus G and mentioned his upcoming Ozzfest shows with Black Label Society. But he spent most of the interview talking about what a blast it was to work and hang out with Ozzy and shared hysterical anecdotes about: Ozzy complaining about the unfortunate side effects of a life free of hedonism; the Prince of Darkness not recognizing the image on a poster of Aleister Crowley; and Ozzy warning Wylde about the dangers of flipping through the pages of an occult book at a religious artifacts store. Considering how upbeat and entertaining Wylde was, it's easy to forget that just under a year ago he canceled a Black Label Society tour because he developed life-threatening blood clots that went up his leg, through his heart and lodged in his lung. It might seem remiss of us not to talk about such things, but Wylde's not the kind of guy who gets all serious about dramatic episodes in his life. When I interviewed him for Guitar World shortly after he left the hospital, he talked candidly about how boozing for years had caused pancreatitis and that bad genetics left him with a blood clotting disease that he might have to take medication for as long as he lives. But he never moaned or felt sorry for himself, and when I asked him if he looks at life differently now than he did before the brush with death, he laughed and said, "Yeah, I got no problem paying $18 for a 12-pack of Becks now." Then he got more serious for a brief moment. "Dude, whenever musicians start getting high and mighty and talking about the meaning of life and s---, I'm like, 'Man, please just shut the f--- up and sing one of your songs.' It's like, if you're a tool and a douche your whole life, do you have to get into a near fatal car crash to go, 'Maybe I should start acting cool to people and be nice?' I've always thought every day is a gift. And when bad s--- happens, there's two ways of looking at it. The glass is either half empty or half full. I always look at it like, 'Dude, there's half a beer left there. F---in' bring it on. The party ain't over yet." 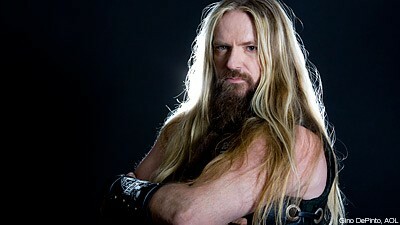 With that in mind, the ''Creep Show' interview with Zakk Wylde is light on the drama and heavy on the funny. In fact, it's the funniest thing we were a part of all week. Now click play and bring it on.